Can I order over the phone? Unfortunately we do not accept phone orders due to security reasons. 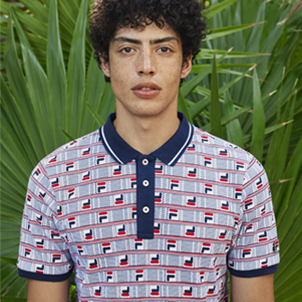 Please place your order on Fila.com. Do you offer back orders? Unfortunately, we do not offer back orders at this time. Can I be notified when the style I want is available in my size? Sorry, we do not currently have the capability to notify you when a style becomes available in your size. What forms of payment do you accept? Fila.com accepts three major credit cards - Visa, MasterCard, and American Express. We also accept PayPal. Why has my card been charged multiple times? What you’re seeing on your account is just an authorization -this will fall off of your account within 2-3 business days. Please be sure the billing address you’re entering is correct. If you’re still unsure please contact our Customer Service Team at 1-800-845-3452. How can I cancel my order? Please contact Customer Service at 1-800-845-3452 as soon as possible after placing the order and we will attempt to stop shipment. Because our warehouse team works so quickly to get items shipped, we may not be able to cancel your order. You will be notified if we are unable to cancel the order. How can I change my order? Please contact Customer Service at 1-800-845-3452 as soon as possible after placing the order. Please note that orders already loaded for shipping are unable to be changed. You will be notified if we are unable to process the change request. How will you ship my package? We offer three types of shipping options. FedEx Smartpost Ground Delivery – Packages take 7-10 business days to arrive and the final delivery will be made by your local post office FedEx 2nd Day Service – Package(s) will take 2 business days to arrive. FedEx Next Day Service – Package(s) will arrive the next business day. How much does it cost to ship to outside of the US? Unfortunately, we do not ship outside of the US. Please view the contact information for our international partners at the home page of Fila.com under the regions tab at the bottom of the page. How much does it cost to ship my order? Regular FedEx Smartpost Ground shipping is $8.00 Fed Ex 2nd Day is $15.00 + $3.00 Surcharge for each additional item. FedEx Next Day: $20.00 + $4.00 Surcharge for each additional item. How can I see the status of my order? Click on My Fila at the bottom of the page. Type in your order number and zip code under the Order Status section. You will then be able to find information needed under the shipping details section. Why doesn’t the tracking number on my order work? It may take up to 24 hours before tracking information appears on the shipping carrier's website. If it has been more than 24 hours and you are still unable to view tracking information, please contact Customer Service. Why did I only receive part of my order? We stock thousands of shoes, apparel and accessories in our warehouse. If your order contains a mix of these types of products, they will be sorted & shipped separately. Why did my order ship after I requested it to be cancelled? Because we work to ship orders as quickly as possible, sometimes we are unable to stop a shipment. We sincerely apologize if a cancelled order was shipped to you. We ask that you return the product to our warehouse for a refund. How do I return my item? If your item was purchased within the last 30 days please click on My Fila at the bottom of the page. Type in your order number (located on your packing slip) and zip code under the Order Status section, select the “Create and print a return shipping label” button. Print out the Fed Ex return label and take the package to the nearest Fed Ex location or drop box. Return shipping is free, but each return is subject to an $8.00 restocking fee. Please note all returns take 21 business days to process. Once complete, a refund will appear on your original form of payment. Can I return a gift? Gifts may be returned, but please note that any refund made for the return must go back to the original form of payment on the original sales order. I returned my purchase. How long will it take for my refund to show on my account? Once we receive your return, we will credit the original payment method within 7 to 14 business days. How do I exchange an item? Unfortunately, we do not offer exchanges at this time. Please return the original item per the return instructions and place a new order for the replacement style. My item is falling apart, what can I do? We ask that you return the item back to the place of purchase. They should be able to issue a refund or exchange even without a receipt. If they are unable to do so, please call our customer service team at 1-800-845-3452 or email consumercare@fila.com. I am unable to log in and I cannot remember my password. Please click on “Forgot Your Password?” below the login button. This will re-send a new password to you which you can adjust once you have logged into your account. Why am I unable to select my size? Unfortunately, if you’re unable to select a certain size that means we are currently sold out. How do I clean my shoes? We suggest using a warm washcloth and gentle soap. You can also soak the shoe in warm soapy water, be sure shoes are completely dry before wearing. Do you have a catalog? Unfortunately we do not have catalogs. 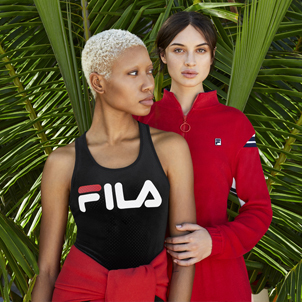 Please view all items currently available at Fila.com. Where are your stores located? We do not have any physical store locations. 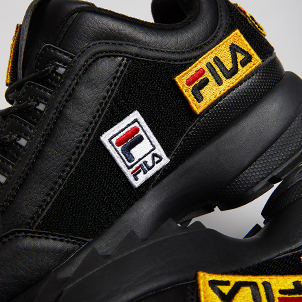 You can browse our entire selection of shoes, apparel and accessories online at Fila.com.